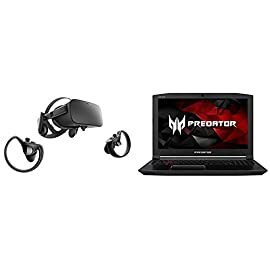 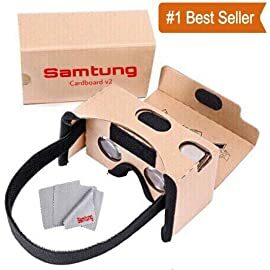 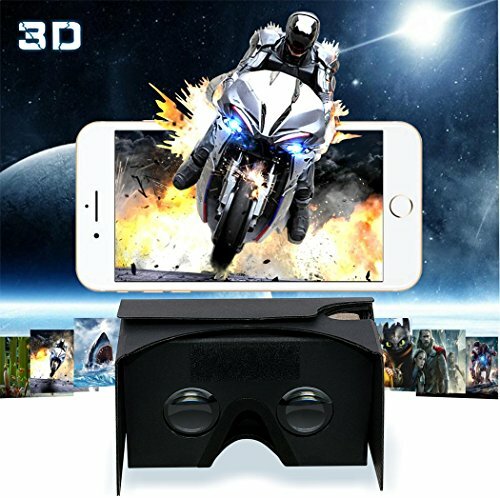 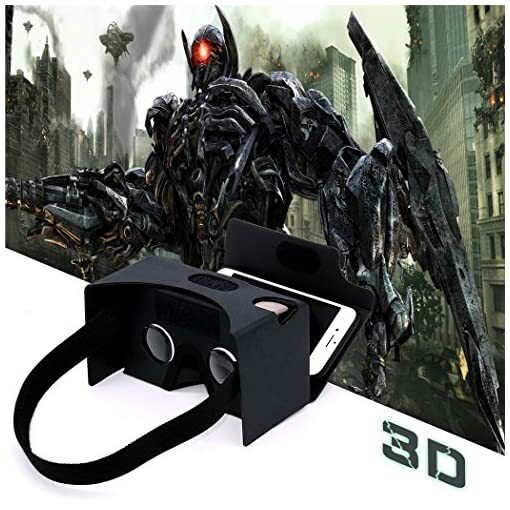 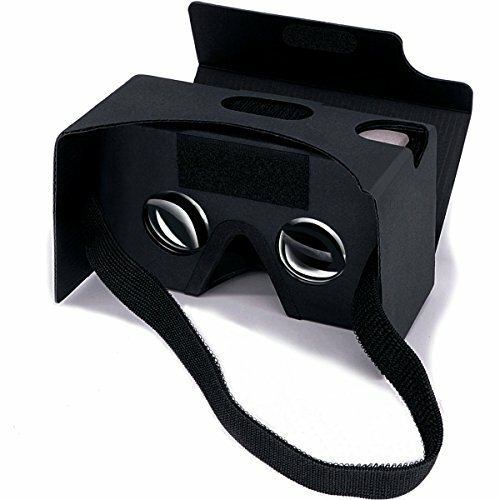 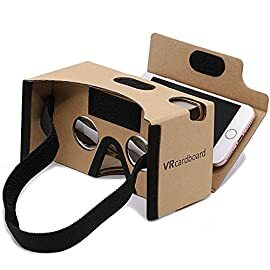 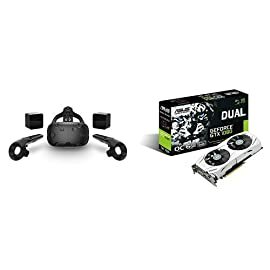 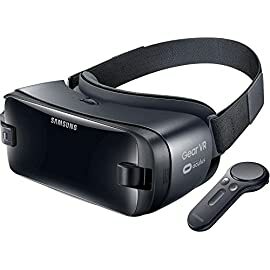 Easier to enjoy: just slide, flip, secure and enjoy shocking 3D movies and scream virtual game scenese after installing virtual reality app in your phone. 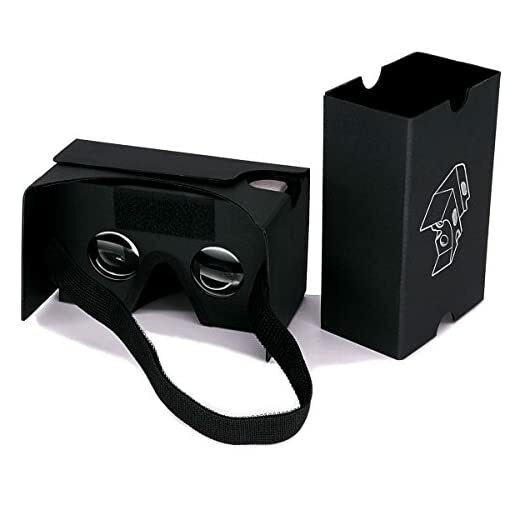 Comfortable design: with nose pad, it is more comfortable than normal other Google Cardboard. 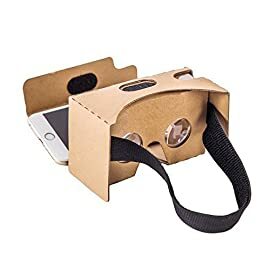 Better viewing: lenses of 37mm in diameter and focal length of 45mm bring you a wider 3D view and let you get more immersive experience from your smartphone screen. 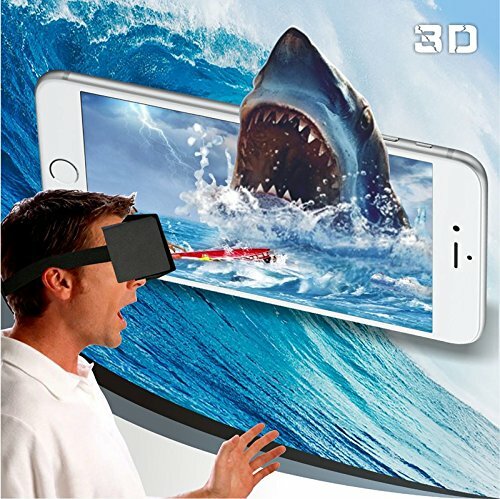 Wanna watch 3D movies? 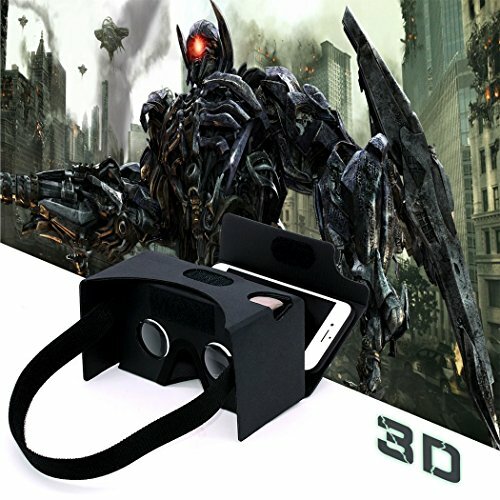 Play 3D games? 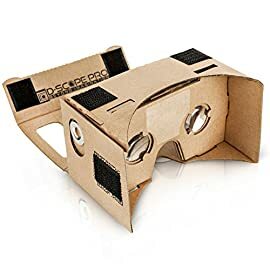 With the Google Cardboard, everything is within touch! 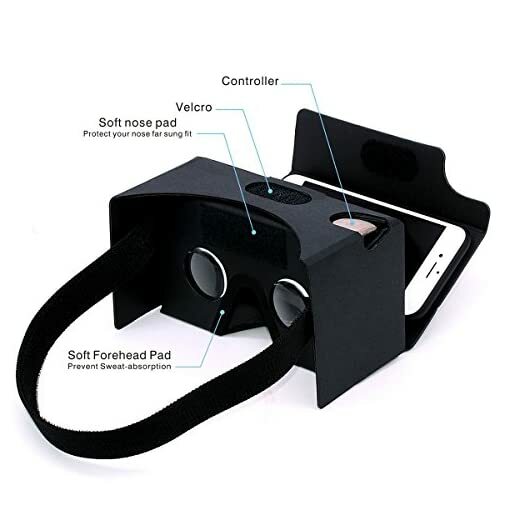 It is compatible with both Android devices and smartphones(6.0″), including iPhone 6 & 6 Plue. 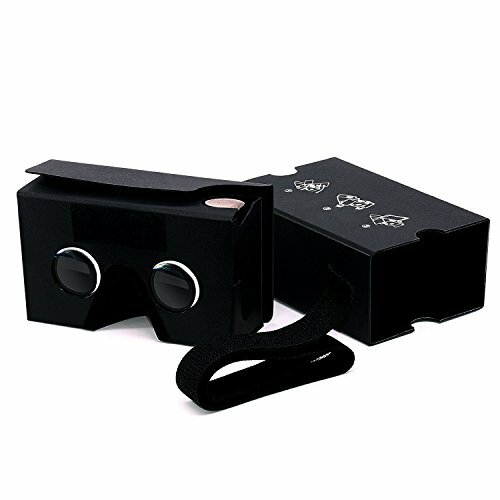 Plus, the simplified and creative design lets you enjoy immersive 3D experience. No matter watching movies or playing games, you will get absorbed in the scene. 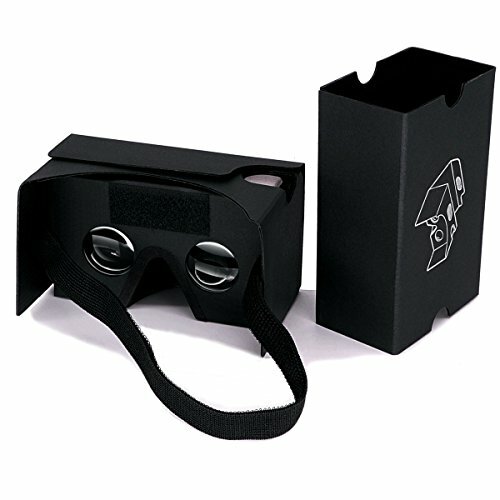 Fine workmanship and perfect details, Cardboard virtual effect satisfys all 3D phone players. 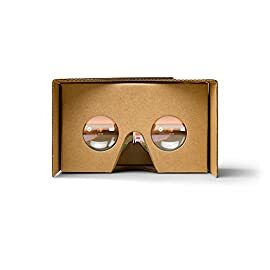 Action is better than excitement, take you move! 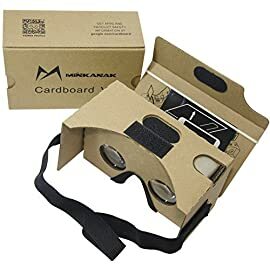 Stylish Appearance: the Cardboard Kit is well designed and machine printed for super precise, tough construction and robust use, fast setup.